"rub-a-dub-dub, three pigs in a tub!" 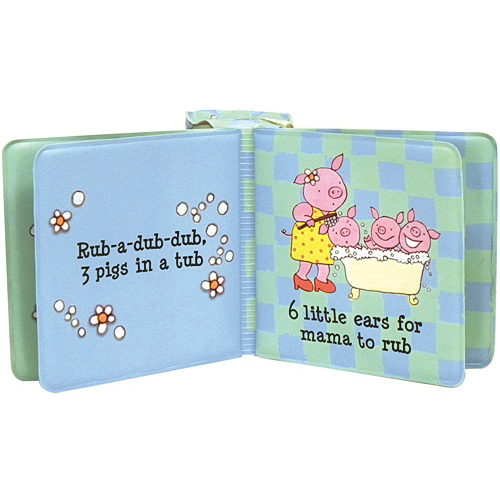 Mama pig counts 12 tiny feet, 6 pink ears, and 3 shiny faces in this adorable waterproof counting book. 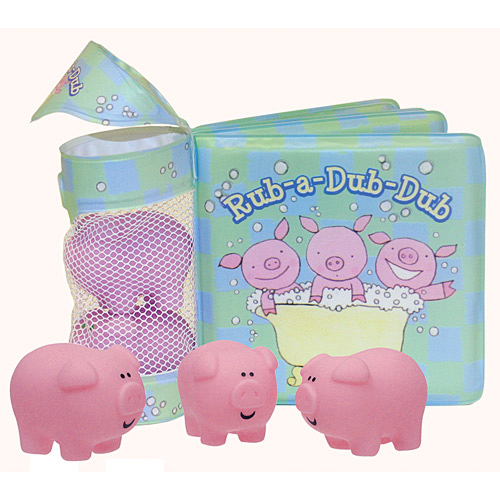 Three pink pigs store in this bath book's mesh tube for lots of fun in the tub. Measures approximately: 8.50 x 6.00 x 2.50 inches..